More than a century after his public debut, the name Jascha Heifetz continues to evoke awe and excitement among fellow musicians. In a performing career that spanned 65 years, he established an unparalleled standard of violin playing to which violinists around the world still aspire. 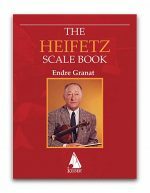 Heifetz is widely considered to be one of the most profoundly influential performing artists of all time. Born in Vilnius, Lithuania — then occupied by Russia — on February 2, 1901, he became a U.S. citizen in 1925. Fiercely patriotic to his adopted country, he gave hundreds of concerts for Allied service men and women during World War II, including tours of Central and South America, North Africa, Italy, France, and Germany, often playing from the back of a flatbed truck in dangerous conditions. 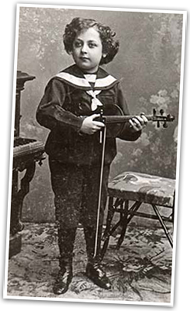 In 1928, he published the first of dozens of acclaimed violin transcriptions. Many, including his arrangements of selections from Gershwin’s “Porgy and Bess,” are now part of the standard repertoire. Using the pseudonym Jim Hoyl, he even wrote a pop song that became a hit in 1946. 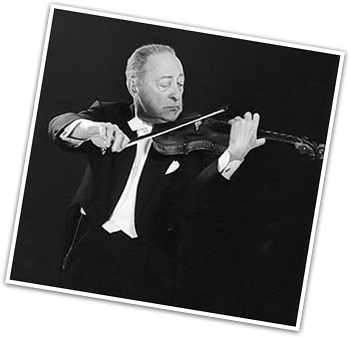 In his later years, Heifetz became a dedicated teacher and a champion of causes he believed in. He led efforts to establish “911” as an emergency phone number, and crusaded for clean air. 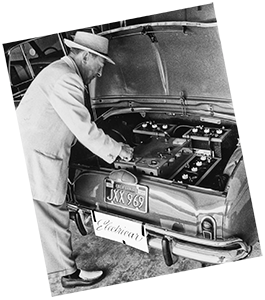 He and his students at the University of Southern California protested smog by wearing gas masks, and in 1967 he converted his Renault passenger car into an electric vehicle. Copyright © 2019 Estate of Jascha Heifetz. All Rights Reserved.